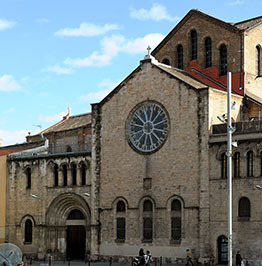 The old Bàrcino, the core of the city we know today, where Roman ruins rub shoulders with medieval Gothic, gave rise to the first district: Ciutat Vella. 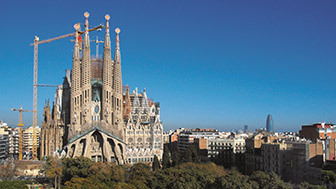 Its streets, alleyways and squares are an open book where you can read the history of Barcelona. 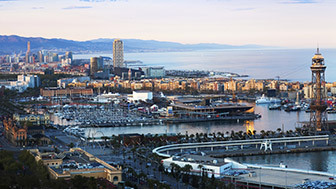 Barcelona's first district, district number 1, emerged from a walled precinct that surrounded the ancient city. 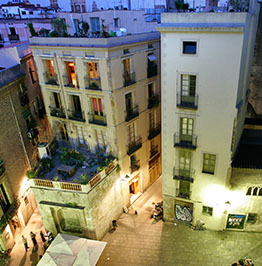 This is what is known as Ciutat Vella, the old town, a fascinating network of streets and squares where you can trace Barcelona's history. 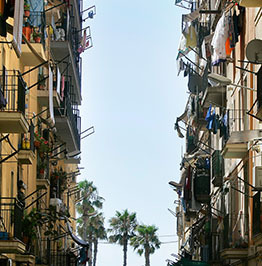 Ciutat Vella includes four neighbourhoods, each of which was of crucial importance in Barcelona's construction, and they have become a place of pilgrimage for visitors: the Barri Gòtic, which is the town's oldest quarter, the place where you could say that it all started; Sant Pere, Santa Caterina, El Born i La Ribera, the medieval neighbourhood; El Raval, the centre that was structured around the rural roads outside the walls; and Barceloneta, a fishing quarter in the harbour which was built in the mid-eighteenth century under the supervision of the Ciutadella, the military fortress built to suppress the locals after the 1714 revolt. 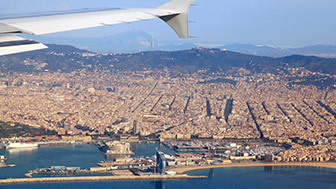 The neighbourhood the city grew out of bears the marks of every Barcelona era, and reveals its history in every stone and in every one of its visitors' attentive glances. 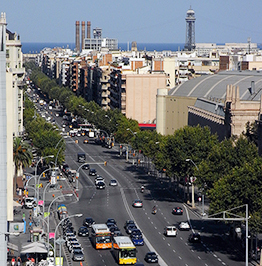 Standing between the city and sea, the Barceloneta neighbourhood appeals to the senses with the colours of the clothes hanging outdoors, the murmur of the waves, the sea-stew smell and salty taste. 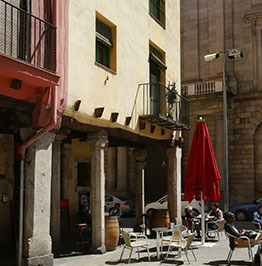 The medieval neighbourhoods of El Born and La Ribera are now the centre of new urban trends, a place for enjoying an avant-garde lifestyle while feeling the echoes of the past. 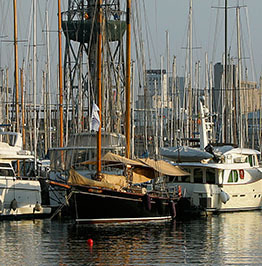 Barcelona's first wharf, Port Vell, is now a magnificent promenade open to a sea dotted with vessels, from where you can still set sail to discover the world.